I've run Windows Vista virtually since it hit the shelves, and I've grown fond of the UI features that everyone else runs screaming from. Still, last August, I got perhaps the most amusing error an operating system has ever reported to me. 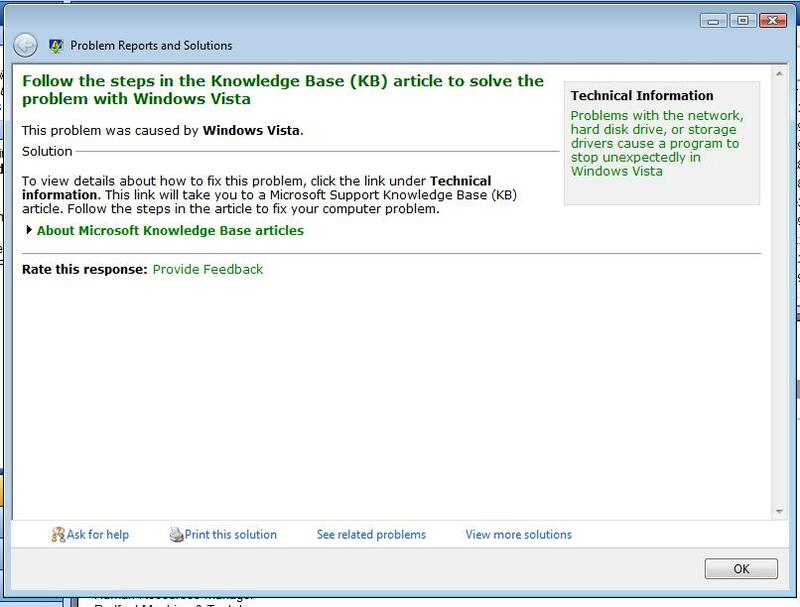 No wonder some people format their hard drives and run back to Windows XP!